The murals inspire imagination and a childlike wonder that you have to see yourself. 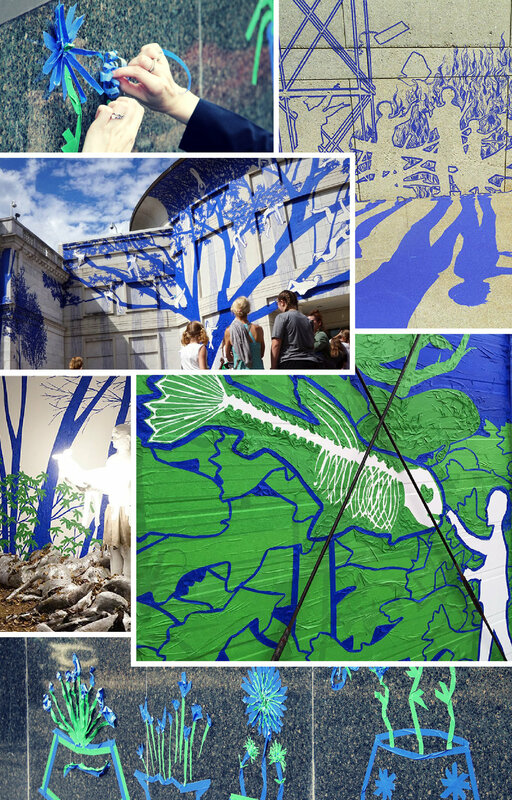 The Tape Art Crew is an ever-evolving group of public artists that have created over 500 murals across the country made exclusively out of tape. The Tape Art Crew has been sharing their unique brand of art and social awareness to schools and people across the country. These life-sized works of art are the result of hours of collaboration, innovation, and imagination. Our partnership with the Tape Art Crew allows us to share their passion and unparalleled imagination with the Panhandle community. The community can be a part of drawing as the art is placed throughout the newly established cultural district in Canadian. 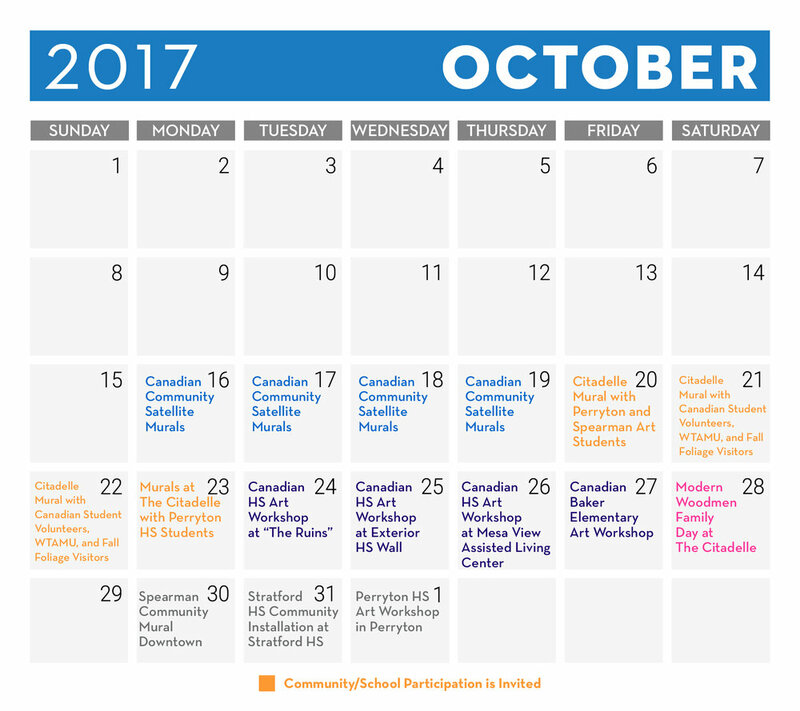 The community satellite murals will be installed October 16-19, stop by and watch! While the Tape Art Crew is here, you will be able to draw at The Citadelle during touring hours. The community is invited to tape with the artists and students, free with price of admission. Maps showing the locations of the community satellite murals will be available at The Citadelle and the Canadian Chamber of Commerce. Pick up a map, visit the satellite installation, snap a picture, and share it online. Tape Art is a collaborative process and we encourage you to share your hard work on social media. The Tape Art Crew will travel to various Panhandle schools to create spectacular works of collaborative art with local students. For more information on Tape Art, visit tapeart.com/happydrones.